In the changing landscape of health conscious consumers, healthy living is slowly becoming a way of life. It’s a classic case of “I want my cake & eat it too. And eat it again. But not the calories.” We are aware about the benefits of super foods & crave for foods that would make any nutritionist proud. Food needs to be organic, fresh, loaded with nutrients & health benefits. Oh, and don’t forget taste & convenience. Yes, we want it all. It’s like craving for a “healthy mix”. 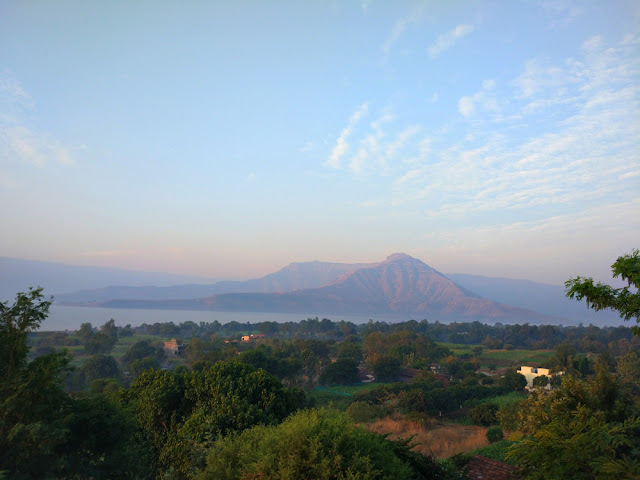 How & where? Health cafes- a great way to indulge in decadent food choices without compromising on health & taste. Just like Saboro Lounge by Mahindra. Let me tell you more about my healthy indulgence at the Saboro lounge. 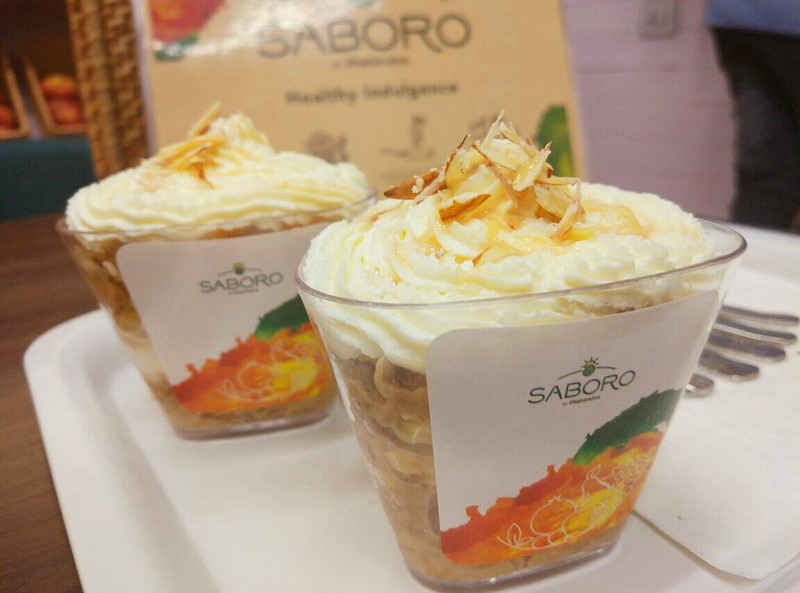 Derived from the Spanish word “Sabor” which means taste, Saboro lounge serves healthy fare designed with help of nutritionists & chefs. The Mediterranean decor is set in white minimal tones with feel of wood & metal lending it a relaxed laid-back vibe. 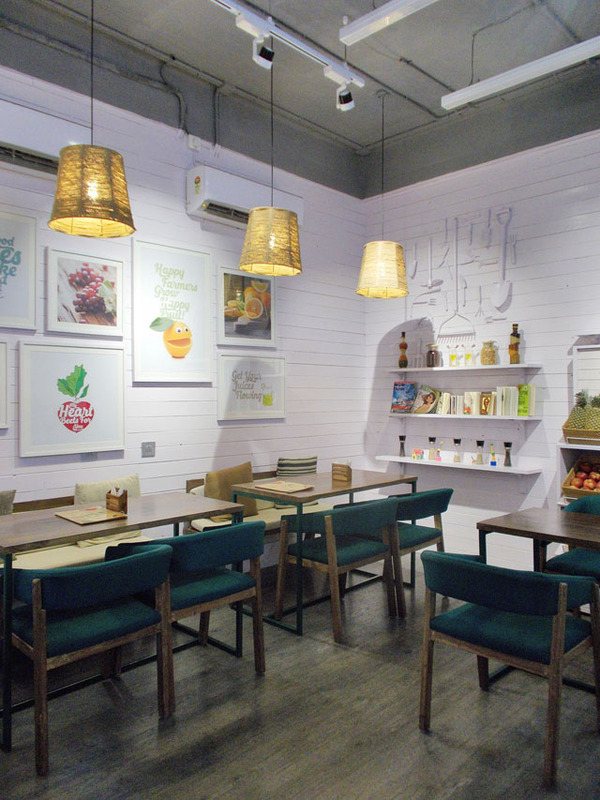 The menu comprises of an interesting mix of cold pressed juices, smoothies, fruit bowls, healthy salads, mains & desserts. The well thought menu features dishes made with super foods (millets, quinoa), gut healthy probiotics (yogurt), disease fighting antioxidants(dark chocolate, pineapple), Omega 3 fatty acids (walnuts, spinach) to name a few super star ingredients. The menu displays the calories against the portion sizes so that you can keep a check on your intake. We tried two cold pressed juices- “Pine-Applint” made with pineapple, apple & mint that comes with anti-ageing & detoxifying properties. 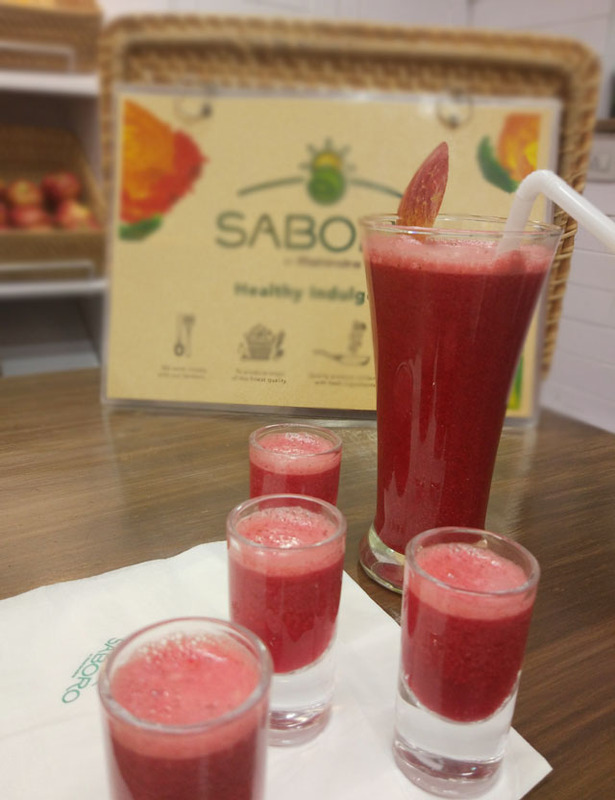 The “Appo-Granate’ a sweet grainy textured juice made with apple, beetroot, pomegranate & hint of basil provides fiber & improves hemoglobin levels. 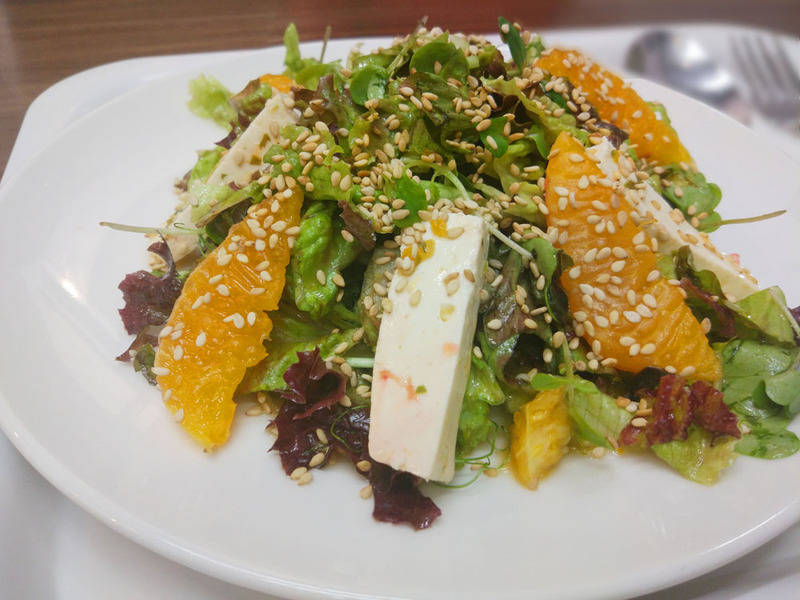 The salad range was tempting & we chose“Orangeer Greens” salad made with lettuce, cottage cheese, olives & orange came sprinkled with micro greens & sesame seeds. 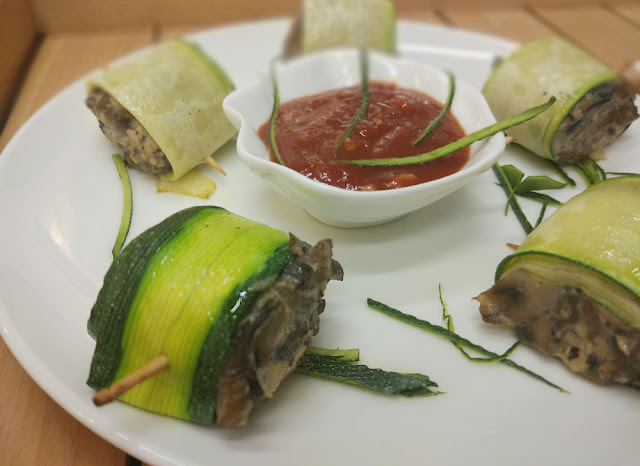 “Zucchishis” mushroom & cottage cheese stuffed rolls made with zucchini were our favorite. If you crave something substantial opt for open sandwich made protein rich pesto & fresh vegetables. For desserts we tried “Banoffee” - a healthy treat made with layers of walnut, bananas, muesli, almonds & hung yogurt flavored with dulce de leche. 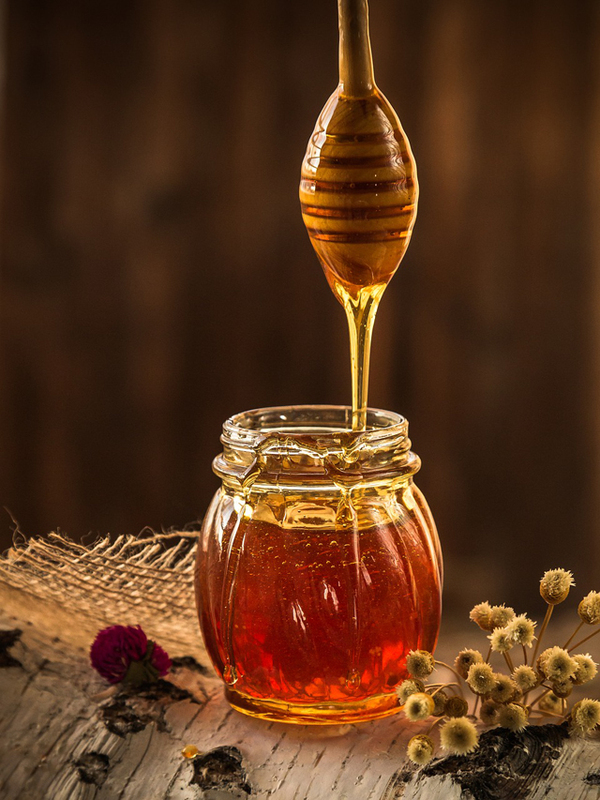 The dessert hits the high spot on flavors & is good for bone health. 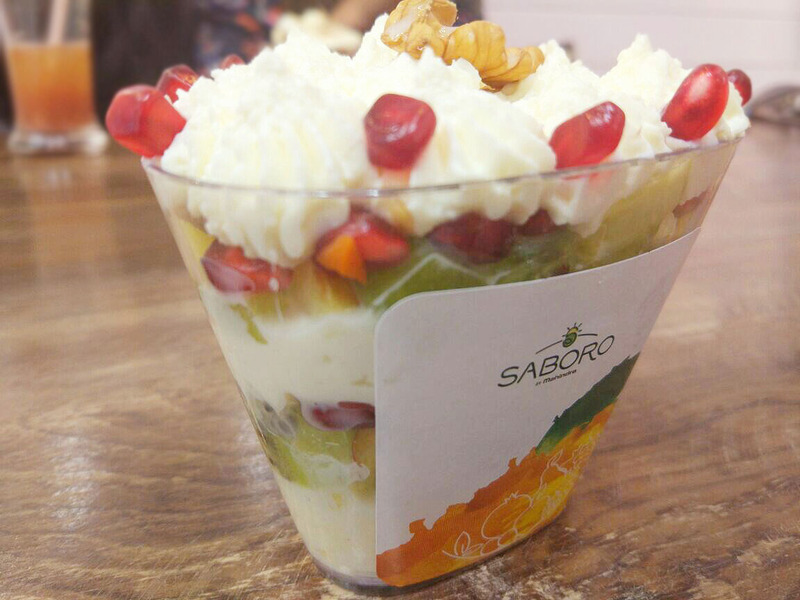 The “Frugurt Parfait” dessert is a great way to relish fruits like kiwi, apple, pineapple along with fresh yogurt & benefits of walnuts. The lounge is kid friendly (yes, healthy habits should start early), provides wifi & home delivery in nearby areas. The menu is vegeterian at present & prices are value for money. So next time, when you step out to indulge, opt for organic, fresh & healthy food for the soul at Saboro lounge. 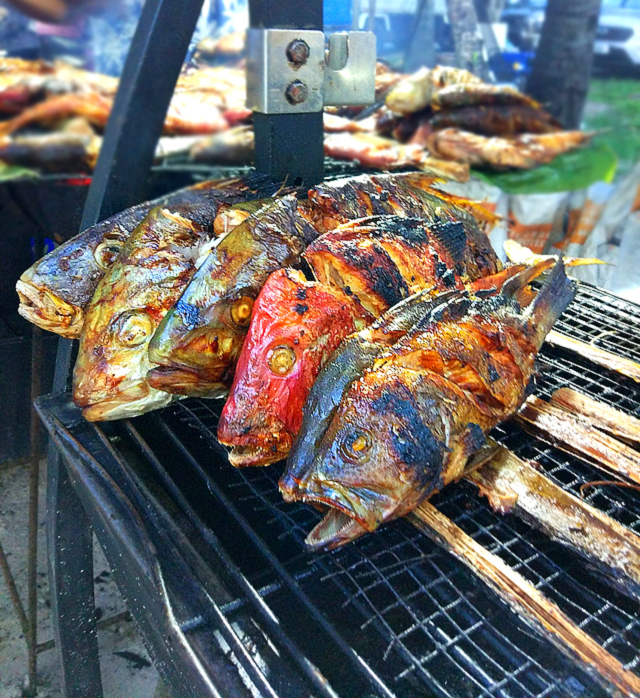 The article is excellent ,and the food looks ,and sounds amazing. I need the Saboro Lounge to open a location here in the San Francisco Bay area .I am going to research to see if there are similar establishments close to me. Great idea. I see you in the green dress ....Bhakti ,you are a knock out ! Sorry , I just couldn't help myself. One more item. 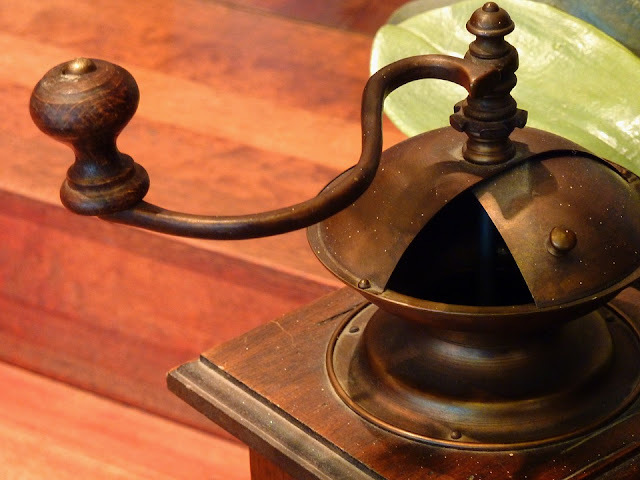 Where did you learn to write so effectively ? Thanks for the information.